Google Assistant has now become a part of our smartphones, smart speaker, and headphones. And starting today, it will be available on television too, thanks to Android TV. Earlier this year, Google announced about bringing the Assistant on Android TV and the first device to finally get that functionality is the Nvidia Shield TV with the “Shield Experience 6.0” update. The latest update is currently available for download on Shield TV devices. It comes loaded with full Google Assistant integration, even on the game controller. 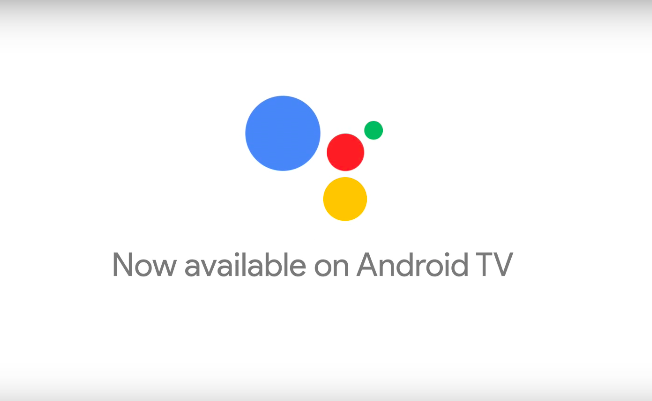 Interestingly, Google Assistant on Android TV will soon be compatible with all Android TV models running Android 6.0 Marshmallow and higher. The lineup includes Nexus Player, other TVs with Android OS, and Xiaomi’s Mi Box. Just like its functioning on smartphones, Google Assistant on Android TV can perform all the standard functions like controlling home and performing Google searches, and on the brighter side, it can also integrate with other streaming apps including Netflix. On apps, Assistant will perform search functions and play the content. Besides, Google Assistant will also be able to display information about your shows such as the cast without interfering with the playback. It means that you can view such details while watching the show or movie. Additionally, you will also be able to see your Google Photos, calendar events, and other details directly on Android TV. It will save users from the pain of connecting Google Photos via Chromecast and then displaying the content. On Android TV models other than Shield, you will be summoning Google Assistant by pressing the microphone button on the remote. However, Shield TV is a step ahead from other TV models as it packs in the functionality of wake-up phrase in the game controller just like Google Home. You can open the Assistant on it by just saying,”OK, Google”, that’s pretty nifty, right? The update for Nvidia Shield TV is in the rolling out phase and will be available for every unit in the coming weeks or months. To commemorate the Google Assistant integration, Nvidia is offering 3 months of free YouTube Red to the users.